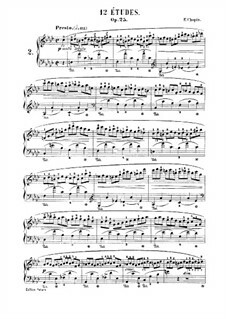 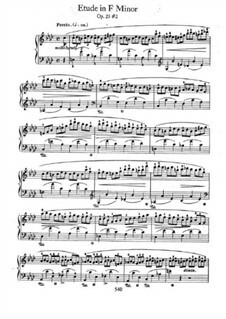 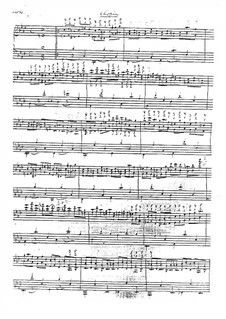 Original score of the Study No.2 in F minor written by Frédéric Chopin. 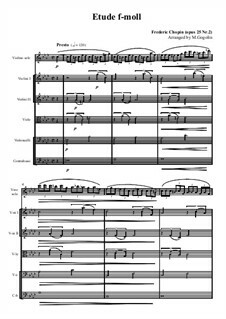 You can see our FAQ if you have any questions about how to download or purchase our scores. 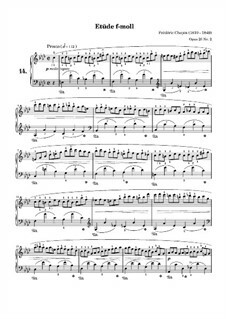 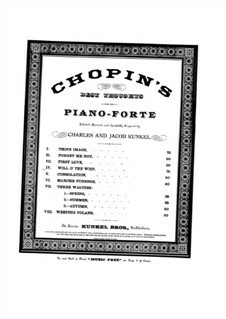 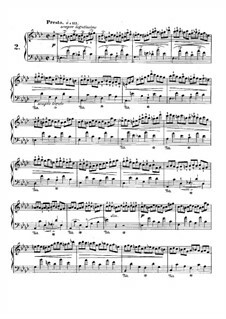 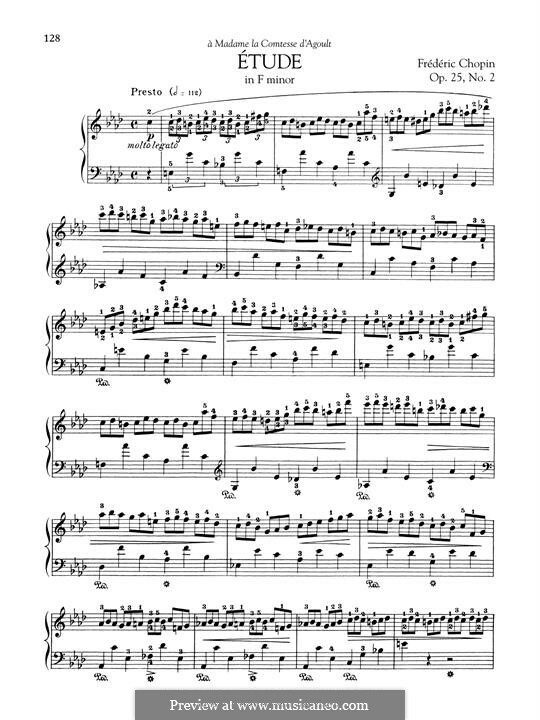 For piano Arranged by Tausig C.
For piano Arranged by Melnotte C.
For solo and string orchestra Arranged by Gogolin M.